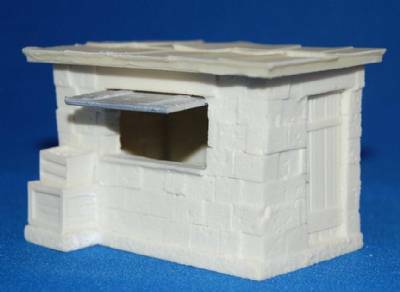 25mm/28mm scale: This is for one cinder block store front shanty with removable roof. Window piece can be in the up position or down position. It is a separate metal piece. Resin and metal cast for strength and durability. This product does not come painted.